Buttermilk Biscuits are an amazingly flaky, buttery addition to any meal. 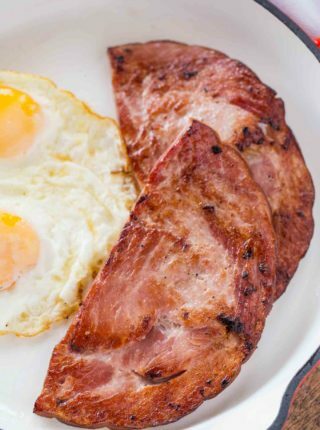 They can be served with breakfast AND dinner, and are ready in under 30 minutes! Biscuits are an essential part of our holiday breakfast table. We love serving them with a spread of French Toast, Eggs Benedict and we LOVE to use them in our Easy Strawberry Shortcake. Buttermilk Biscuits are so seriously tender on the inside, with a golden brown and slightly crispy top that makes me want to have them for a meal all by themselves. Nothing says comfort food, or that dinner’s ready, like the mouth watering aroma of biscuits baking in the oven! They’re also a really traditional side in many southern homes, so much so that people really take pride in them. 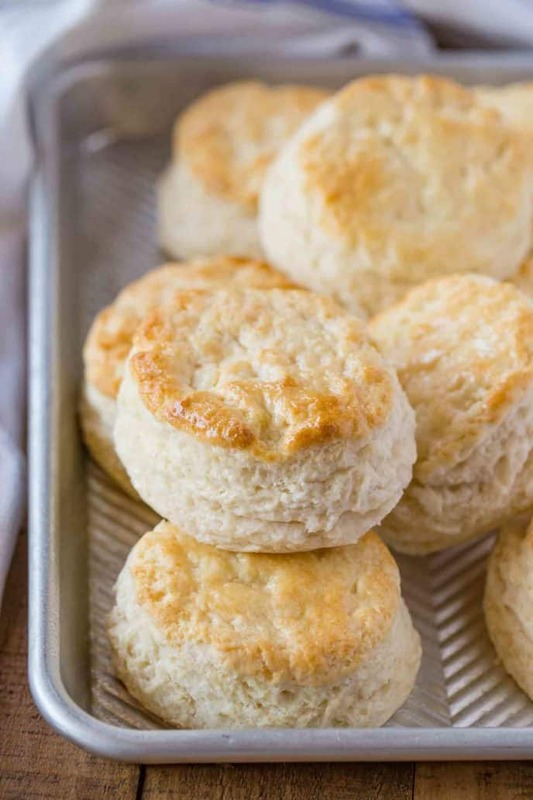 You’ll be surprised at how simple it is to get restaurant quality buttermilk biscuits from your own oven with this recipe. 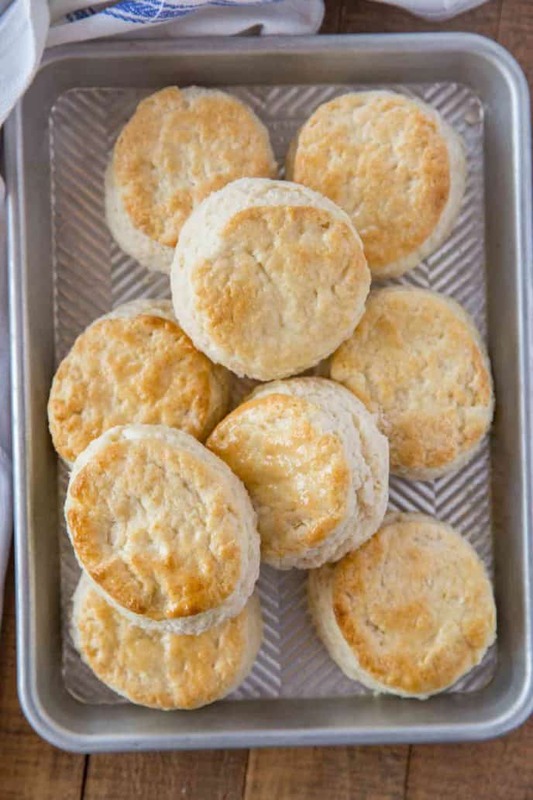 The best part of southern buttermilk biscuits is that you can make them for breakfast or even serve them for dinner with a nice stew like Ultimate Slow Cooker Beef Stew and Ultimate Slow Cooker Pot Roast. Or you can go simple and just serve them with some butter, because honestly no one ever went wrong with a buttered biscuit any time of day. These are made with only a few ingredients including creamy buttermilk, unsalted butter, baking powder and soda, all purpose flour, and just a teaspoon salt. You probably have these ingredients in your pantry already, and they only take a few minutes to throw together. The key is to use a food processor to mix your dry ingredients and combine your dough, which cuts down your prep time significantly. The most work you’ll do is rolling them out, which has an art to it, but isn’t hard to master. 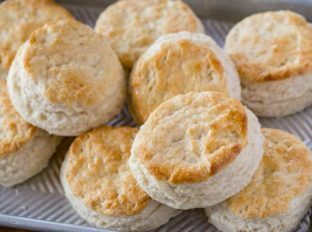 There are three main tricks to making dough that makes this buttermilk biscuit recipe into restaurant quality. After you roll out your biscuit dough, you want to fold it three ways so you have three layers, then lightly roll it out again. Repeat this step two more times. This creates layers in your dough that make the biscuits rise and become amazingly flaky. You can dust each layer with more all purpose flour if it becomes too sticky. When cutting the biscuits, push the biscuit cutter down in one movement, making sure not to twist the cutter. This avoids sealing the edges of the layers of dough, which prevents it from rising. If your biscuits are burning on the bottom, your cookie sheet might be too close to the heating element in your oven. Try moving the biscuits to a higher rack to avoid burning the bottom of the bread. If that doesn’t work, it might be the quality of your pan. You can try doubling up the cookie sheet to help the heat conduct better. If you are having issues and you think you’ve got good quality cookware try using a silpat to help disperse the heat away from the bottom of the biscuits. 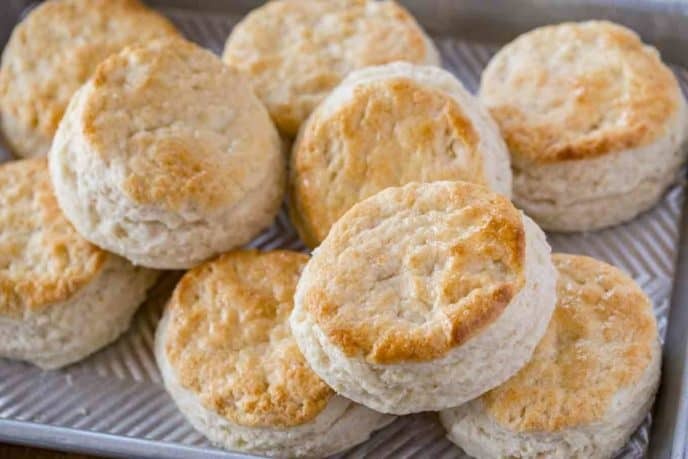 HOW DO YOU MAKE BUTTERMILK BISCUITS WITH SHORTENING? Shortening can be substituted for butter in equal amounts in this biscuit recipe. Refrigerate the shortening, just like you would with butter. A good rule is the colder your ingredients, including your dry ingredients and buttermilk, the better for making biscuit dough. You might get more crumbs if you use shortening in your dough instead of butter, but your biscuits should also bake up with a flakier texture. Add the frozen unbaked biscuit to a cookie sheet and brush with buttermilk or milk. Cook at 475 degrees (preheat before adding the biscuits to the oven) for 8 minutes then turn off the oven. Let sit in the closed oven for 5 minutes before removing. If you look through the window and the biscuits are not browned, let sit for 2-3 additional minutes in turned off oven. 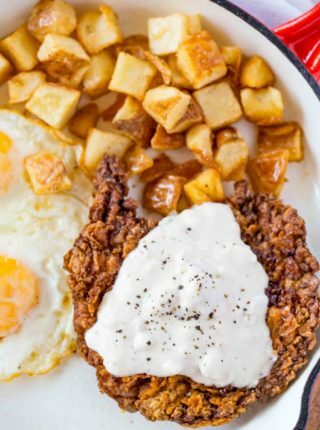 HOW CAN I SUBSTITUTE BUTTERMILK? If you run out of buttermilk you can substitute 1 cup of milk mixed with 1 tbsp lemon juice. The acid from the lemon juice replaces some of the acid naturally occurring in buttermilk. Typically you can do this substitute with any biscuit recipe calling for cream or buttermilk. Stir it together and try to let it sit for a few minutes before adding it to the dough. You can do this before cutting your butter into the dough, by the time you’re done your buttermilk substitute will be ready. Vinegar will also mimic the acidity in buttermilk, if you don’t have lemon juice. Chill your flour for at least 30 minutes before making your biscuits. 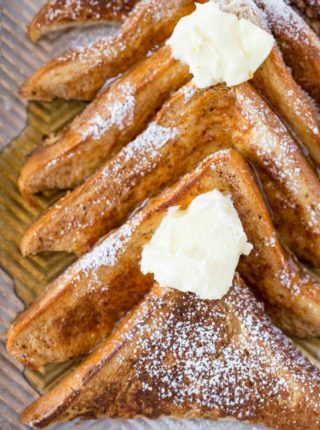 Use unsalted butter in this recipe. We’re adding salt separately so we can control how much goes into the recipe. Be careful not to overwork the biscuits, or they’ll turn out too dense. You want to stop when the flour is just mixed with the butter. Place your biscuits on the cookie sheet so the sides are just touching. As they rise, they’ll help pull each other up, making them taller and flakier. If you don’t have a biscuit cutter, you can use a drinking glass lightly dusted with flour. But the biscuit cutter is better because it’s sharper, and the better cut helps the biscuits rise. Carefully measure your leavening ingredients, baking powder and baking soda, before adding them to the flour. Like we said before, this is a quick bread recipe, so there’s no yeast to give them rise. You can learn more about leavening agents here. 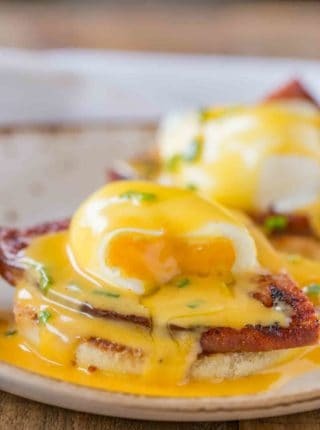 Brushing the tops of the biscuits with buttermilk at the end gives them that nice golden brown color, don’t skip this! You can use buttermilk, milk, or melted butter for this step. Preheat oven to 425 degrees and line your baking sheet with parchment paper. Add the dry ingredients to a food processor and pulse two to three times until combined. Add in the butter and buttermilk and pulse until combined. Put the mixture onto a floured surface and pat into a ball then roll it out 1/2 inch thick. Fold dough over on one side, then the other so you have three layers. Roll it out gently, then fold it over three ways and roll gently again. Repeat folding once more and roll it out. Using a 3 inch cutter stamp out 10 biscuits. Place the biscuits on a cookie sheet, brush with remaining buttermilk and bake for 15-17 minutes. Been looking for this type of biscuit pan where might I purchase one. I bought this one a few years ago from Costco. I don’t see that they have it available online anymore. It’s called Nordic Ware Prism Bakeware.